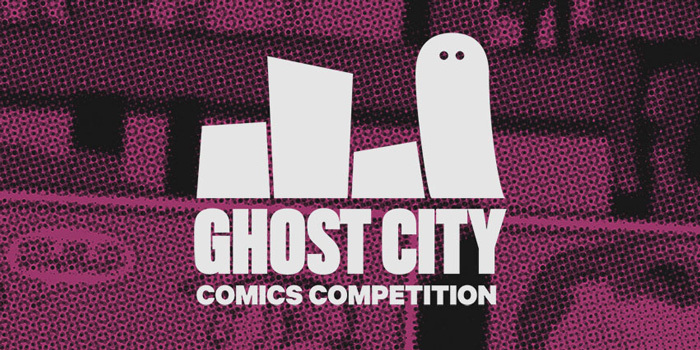 Last month, I had the pleasure of being a judge on the Ghost City Comics Competition panel, rating a selection of stunning finalists in the ‘Best Single Issue’, ‘Best Short Story’ and ‘Best One Page Comic’ categories. 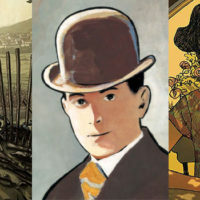 I was consistently blown away by the high quality of the final selection, and given that the entries were spread across all genres and targeted demographics, it proved near impossible to pick a clear favourite from any particular category. I also found myself having to overcome my aversion to scoring comics, a that practice I abandoned years ago on this blog and one which has been the cause of bitter arguments on several freelance gigs. 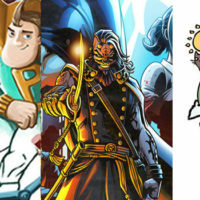 Here, however, scoring made perfect sense, given that the finalists stood to win awards for best artist, best inker and so on, but it nevertheless reinforced my belief that the comic book is a holistic art form. 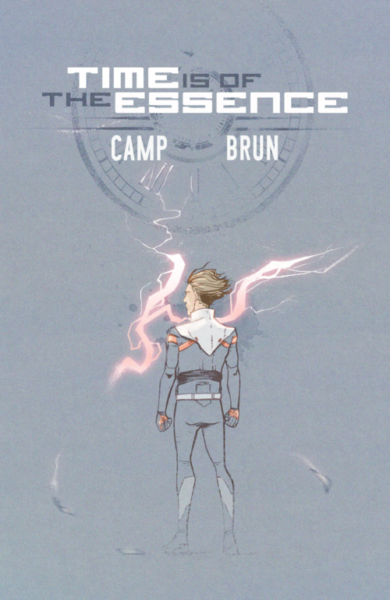 I read plenty of beautiful comics that leave me feeling utterly hollow, and all it takes is for one element in a comic to be out of place for the reader to lose immersion. However, when all those elements come together, as they did in the vast majority of the Ghost City finalist’s efforts, that magic exclusive to the medium takes effect, and you find yourself removed from the page and placed in another world. The best comics make you forget that you’re reading one. The judging process also made me question what I personally look for in a comic book. Was it superior artistic direction? A smart script? Atmospheric colours? Polished inks that lend the pencils a sense of energy and life? The other day, someone asked me what it was about indie comics I found so endearing, and the word authenticity came to mind. There’s often a sense of truthfulness that comes from creators so driven that they’re willing to go the distance alone, and so many of these creators were confident enough to their hearts on their sleeves. 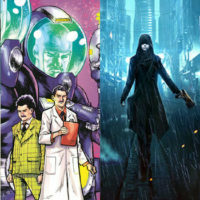 All of the comics mentioned below are free to read at www.ghostcitycomics.com, unless stated otherwise, and the finalists and winners will apparently be collected in a digital anthology soon. *Also, I’ve been extremely busy with multiple creative projects and haven’t the time to read anything else. Soz. Winner of ‘Best Short Story’, this was a straightforward sci-fi concept – a scientist is visited by a fatally wounded future incarnation of himself – told with style and sensitivity. 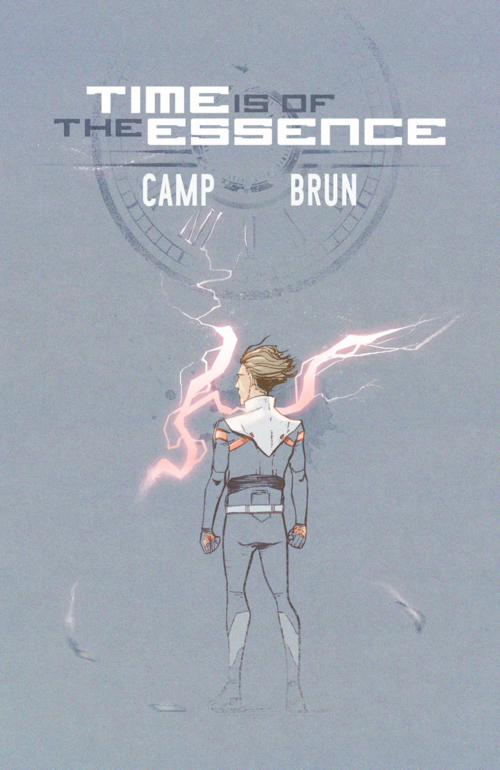 The engaging art, by Romain and Julien Brun, and Deiz Camp’s heartfelt narration drew me in and piqued my emotions over just a few pages, and the final panel was simply perfect. Time is of the Essence looped over and over within my head long after I’d read it, which I like to think is the true test of such a tale. As a long-term Ebert fan, I was initially sceptical about Milton Lawson and Rem Broo’s short story, which sees a disillusioned cinephile visited by the ghost of the great critic himself (think A Christmas Carol meets Back to the Future). But Roger Ebert and Me won me over on pretty much every level, with fantastic art, dazzling colours, and a story that was so full of empathy that its emotional journey far outweighed the ostensibly silly concept. It all builds to a smart and beautiful reveal that I won’t spoil, and is nostalgic in the best possible way. The first issue of Paul Allor and Louie Joyce’s Past The Last Mountain achieved two near-impossible goals. Firstly, it threw the reader deep into a unique world, one in which the creatures and races of high fantasy have invaded and now co-inhabit present-day Earth, without once resorting to an overload of exposition. Secondly, it presented a diverse cast of flawed but sympathetic characters with minimal dialogue. Joyce’s art style and colour palette are slick yet distinctive, and I found myself immediately gripped by the plight of the central escapees and far more upset by a particular death scene than I could have possibly imagined going in. I loved this comic, and can’t wait to read the rest of the series. 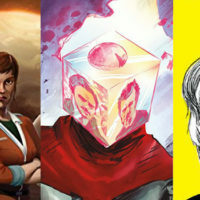 The first four issues of Past The Last Mountain are available at comiXology. Mike Exner III, D.C. Stuelpner, and Micah Myers mix eighties wresting, science fiction and humour in this brilliant short tale. Madcap character designs, an original setting and irreverent tone are all brought together through clean and dynamic art that glows throughout, despite its wryly conservative use of colours. 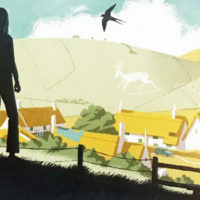 Thunderbolt Holt felt more like an introduction to a series than a complete story, but it was a series I’d certainly seek out should its creators decide to do more. 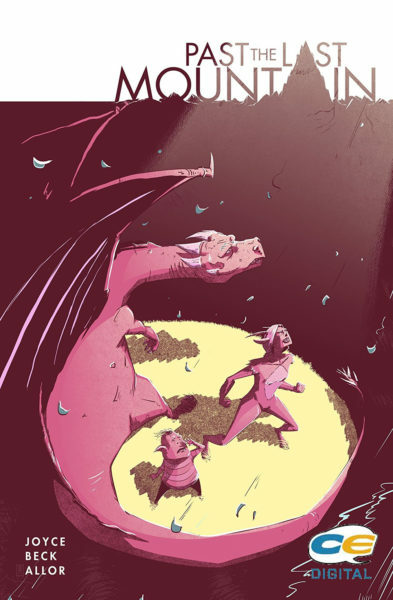 This short comic’s fun premise – a city of insectoid soldiers fight off a Godzilla-styled human – had me laughing throughout… until its poignant final panel. Alex Wills, Brad Hansen, Athena Stamos, Claudio Muñoz, Matt Olson and Eduardo Camacho take their ridiculous concept and just keep pushing that idea until it works. Attack on Bug City also had surprisingly good characterisation, given that we’re required to emotionally invest in insect protagonists over just a few pages, and the distinctive art and colour palette make this feel like a comic from another time… or indeed world. One-page comics are a tricky thing to get right; so many creators try to cram more plot onto the page than will fit. Heather Barron’s entry did the opposite, suggesting so much story with so little actual storytelling, an accomplishment that is rare in comics. Her selection of relatable images and idiosyncratic page composition took me by surprise, and U+Me remained with me longer than some of the slicker single page comics. Wendy Muldon’s brilliant one-pager (and award runner-up) was another case of a simple but really fun idea, one that didn’t attempt to fit a complex story on a single page but aimed for a single expression, articulated with visual panache and wit. 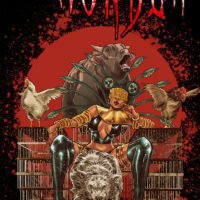 I won’t do justice to When Reading by attempting to explain it, so (again) you can read it yourself at www.ghostcitycomics.com.